Chicago’s torrential storms yesterday nearly ruined market day. But when the rain finally stopped, I had just enough time to get to the closest farmer’s market, in a high school parking lot in our neighborhood. 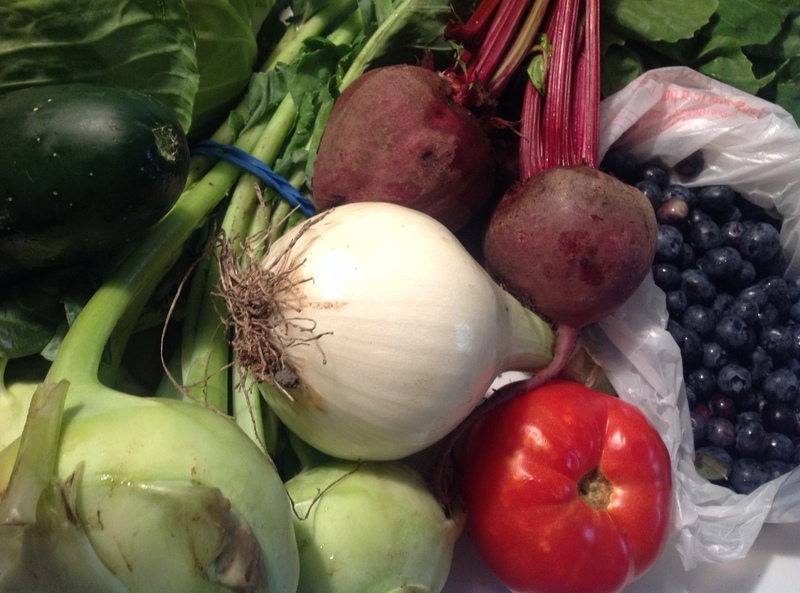 For the first time, I missed our CSA and always having fresh vegetables at the ready. We were in northern Michigan for the Fourth (actually, the fifth), so our crisper has been sadly bare the past couple of weeks. Only a handful of vendors had stuck it out, but I still managed to fill my bag with an onion, cucumber, kohlrabi, hothouse tomato, beets, cabbage and blueberries.